The term “crossover” has opened up an entirely new segment to the automotive industry. 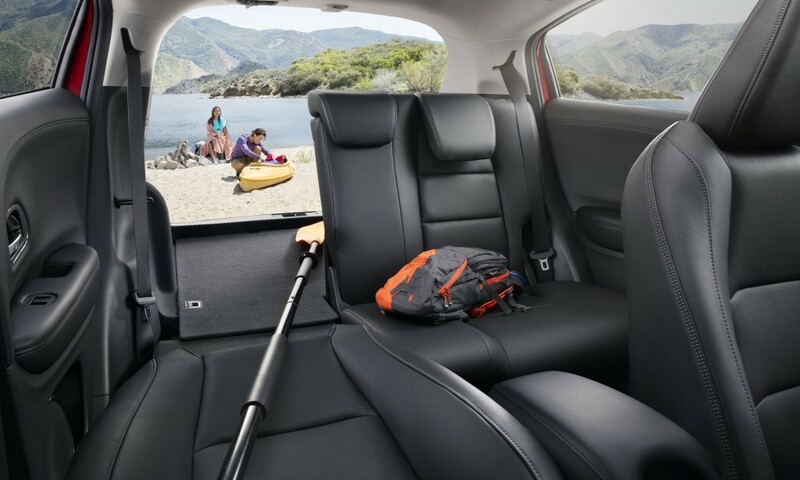 Crossovers offer drivers both the comfort and fuel-efficiency of a car and the adaptability of an SUV. Honda adds its signature to the crossover revolution manifesto with the 2019 HR-V. Starting at a $20,520 MSRP,* the HR-V checks all the boxes for a crossover that can meet the needs of either urban or rural drivers. Someone who needs a crossover that can do it all. 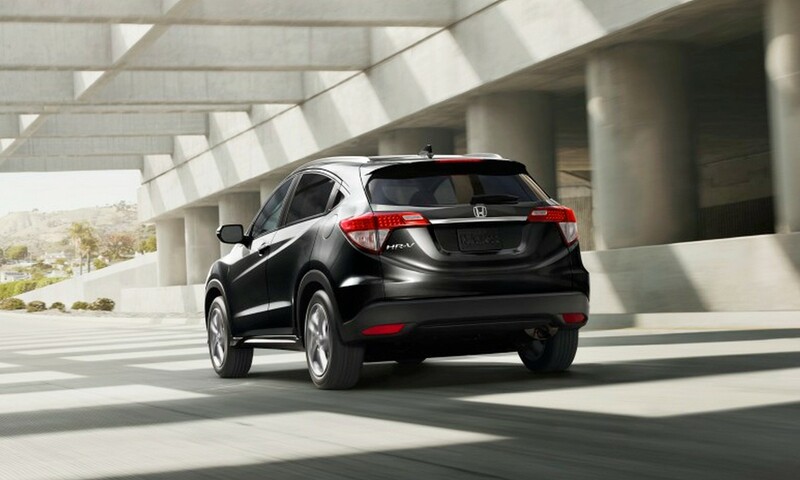 With creative storage options and innovative comfort technology on the inside, a fuel-efficient powertrain under the hood, extremely high-strength steel body construction in the frame, and modern safety features on the outside (not to mention its sharp looks), the 2019 Honda HR-V provides all the versatility needed for the modern driver. The in-line 4-cylinder 16-valve SOHC i-VTEC® produces 141 hp and 127 lb-ft of torque, more than enough to get the lightweight HR-V where it needs to go. The available Real Time All-Wheel Drive with Intelligent Control System™ and standard Vehicle Stability Assist with Traction Control all work together to keep this crossover on the road and the driver in control in the harshest of driving conditions. The 2019 HR-V also comes available with Honda’s Continuously Variable Transmission with Sport Mode, standard on the EX and EX-L Navi, which can even include Dual-Mode Paddle Shifters for a sporty driving experience. Like a modern smartphone, the 2019 HR-V squeezes high-tech capability into a compact package. From the driver’s seat, you can swipe your finger to control the touch-based climate control panel or Display Audio interface. 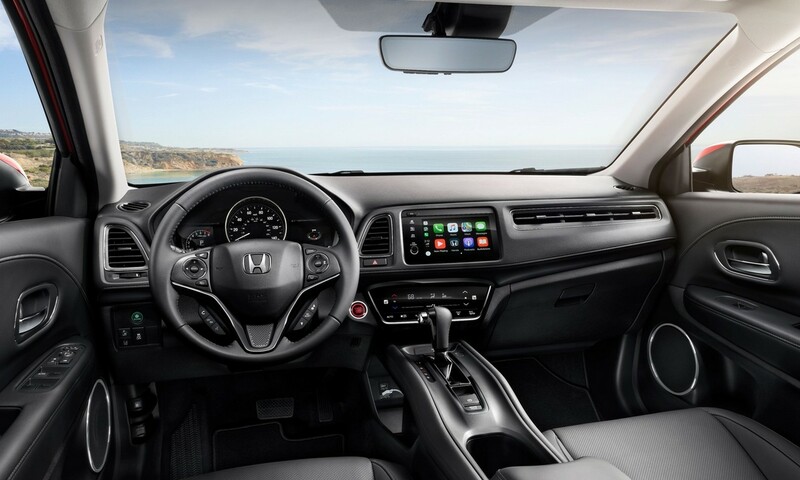 The Automatic Climate Control feature works just like a home thermostat—simply set the desired temperature, and the HR-V will automatically warm or cool until it reaches that temperature. To warm passengers up on extra cold mornings, the HR-V EX and EX-L Navi come standard with heated front seats. Finally, an Electric Parking Brake makes engaging the emergency brake effortless, while Push Button Start means you can leave your key in your pocket or purse and simply start your HR-V with the touch of a button. 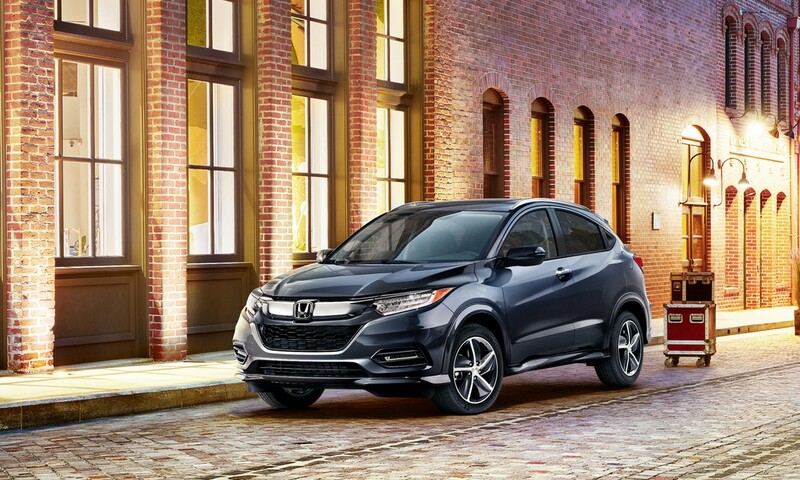 The 2019 Honda HR-V also uses creative solutions to make the most of its compact space with three separate storage modes: Utility Mode, Tall Mode, and Long Mode. The 60/40 Split 2nd Row Magic Seat® can fold down the seat backs like a traditional 2nd row to open up the rear cargo area for extra utility, or it can fold up the seat bottoms, creating cargo space nearly four feet tall for vertical storage needs. These options can be used to create as much as 58.8 cubic feet of storage space in the rear. Plus, the front passenger seat can fold down to further increase capacity to fit objects as long as eight feet comfortably inside. Seemingly endless customization is a perk for any crossover. HR-V owners can either keep it simple for the city or add any of Honda’s attractive or functional accessories, including trim kits, fog lights, 17-inch alloy wheels, splash guards, aggressive sport grille, or crossbars on the roof for extra-large cargo like bikes or kayaks. Also add custom accessories to the inside, like fitted all-season floor mats to protect the original carpets from dirt and debris, a durable cargo cover to protect rear storage from damaging UV rays, or soft blue LED interior illumination to add an upscale and aesthetically pleasing glow to the front footwells. Perhaps the 2019 HR-V’s multiple cargo configurations aren’t enough for your needs; If so, you can still get the same great adaptability with the Honda Pilot's up to 109 cu ft of cargo space. 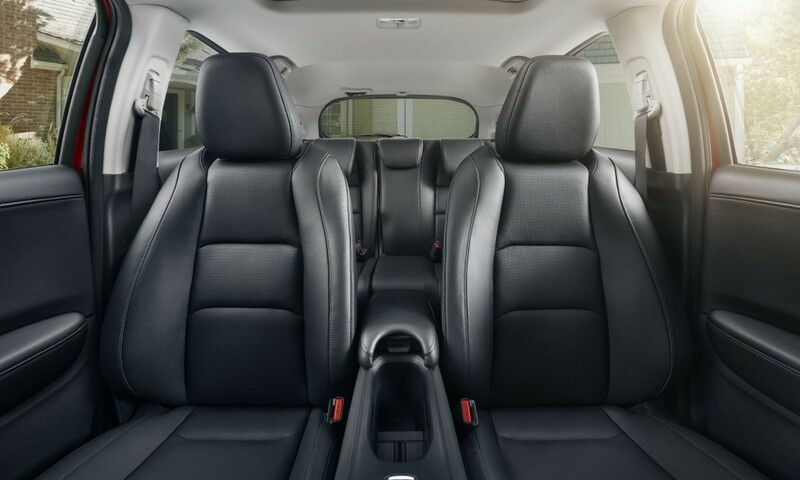 If you're looking for more room for your passengers, look no further than the 2019 Honda Odyssey, with three rows of seating for the entire family, plus everything they might want to bring with them. ** 28 city/34 highway/30 combined mpg rating for 2WD CVT trims. 27 city/31 highway/29 combined mpg rating for AWD LX CVT trims. 26 city/31 highway/28 combined mpg rating for AWD Sport, EX, EX-L & Touring CVT trims. Based on 2019 EPA mileage ratings. Use for comparison purposes only. Your mileage will vary depending on how you drive and maintain your vehicle, driving conditions and other factors.